The Twenty Hundred Club is a little short on heroes, although we have looked for a few. Cast in the modern mold, it started with three men in a (S boat) bewhiskered, bleary-eyed and soggy wet-beating up Gardiner’s Bay, trying to hold seven Eastern Inter-Clubs who were doing too well; and worrying about the return trip to Rhode Island Yacht Club the next day. At the shore party we hitch-hiked a tow to Block Island in back of Maurice and Art Guerin’s 12-meter Anitra, dropping the tow line at New Harbor, after the sickest ride I have ever had. In the last of a heavy off-shore swell, we drifted across to the Harbor of Refuge, Point Jude, and anchored at 4 a.m. Having killed the last can of pineapple juice for 6 a.m. departure, to catch the flood tide up the bay, we sailed sixteen long dusty-dry hours in the blazing sun with wet handkerchiefs knotted to cool our skulls to reach home. It was this day we conceived on DILEMMA the germ of an idea that this life was so ennobling to the spirit that the joys of open water sailing and cruising should be shared by all sailing innocents. Our intention was a race designed for the uninitiated buoy-to-buoy Bay skippers, who were hot shots on the Bay but who could not be taken on any course requiring more than 15 minutes of compass sailing; seamanship to be learned by doing, based on an old discarded educational theory that smarts come from hurts. The olive branch was to be a trophy, to be presented at the opening ceremonies at 10 a.m. of the 12th District of the U.S. Power Squadron rendezvous at Onset, Mass., programmed for a winner within 14 hours of overnight sailing, with the start at 8 p.m. (2000 hours), fisherman’s style, Newport Harbor, August 30 (Labor Day weekend) 1946. Ty and I had joined the U.S. Power Squadron in 1936. We both felt that there should be more to sailing and racing than just going fast; and that common sense requirements for good seamanship and safety at sea require an incentive to get the uninitiated out of the Bay and put to the test under normally adverse conditions of darkness and/or fog (not just plain out of sight buoy-to-buoy navigation) conditions under which the average competent small boat racer is inexperienced and will not test himself except in desperation. In the immediate years after World War II, a bulk of the allowance class racers A, B and C were modified universal rule, Herreshoff One Design, and six-meter day racing boats adapted for cruising. This also included a going S boat fleet, all of which had been pretty much confined to the Bay during the war and were now in a position to explore the Cape, the Islands, and our coastal cruising areas. The first race consisted of three S boats Ty Cobb’s Dilemma, Tom Hunt’s Musketeer, and Clem Stapleton’s Flying Cloud Bob Fisher’s Sloop Moonglow and the Dickerson’s Sloop Tyche II. Now to prove our point, Ty, the Navigator, got there first; Tom Hunt bounced his way around West Island for second place. I did what any competent lost navigator does, headed for the lightship, found myself trapped outside a string of barges on the east side of Cleveland Light, and eventually arrived by way of the Great Circle Course for third place. Moonglow slowed down, sort of tired out, arrived a little bit later. Flying Cloud misread a few lights and tried to turn in Tarpaulin Cove for Onset and after talking to a fisherman, decided home was that-a-way, we got the story later. So, the Charter Members of the Twenty Hundred Club consisted of the skippers and crews of the first five boats to sail. In 1947 the boats, including Howard Sweet’s Yawl Menace started from Newport at 8 a.m. Saturday with a stop-off at Cuttyhunk and on to the rendezvous at Onset (To be determined on the scene before the start of when we could judge sailing conditions at either Cuttyhunk, Sakonnet, or Newport. During the next five years, the Twenty Hundred Club racing group joined several cruising race programs co-sponsored races with the East Greenwich Yacht Club, such a Block Island Cruise an races in ’49 (V-J Day) and in the process sponsored the 4th of July race to Cuttyhunk, timed to coincide with the start of the Barrington Yacht Club two-week cruise to the Islands. Ty was Commodore during the first five years of the Club’s existence without his incentive and interest I doubt that it could have survived. Ty’s impact on yachting in the Bay covered a broad spectrum and absorbed a great deal of his leisure time. Only a quick resume of some of the activities in which he participated can be mentioned here. He was extremely active in developing Power Squadron activities, chairing and holding office at local, New England and national levels. He developed and instructed sailing courses and served as a volunteer instructor in navigation, piloting and seamanship. As President of the N.B.Y.A., he, in conjunction with the other officials, introduced race committee instruction and formulated programs for junior sailing instruction at the club level and moved into office as Commodore of the Rhode Island Yacht Club in time to see the Club Building wiped out in the ’54 hurricane, and assumed the burden of getting a hurricane-proof clubhouse designed and built. In addition to his activities with the S boat class (in which he served office, conducted races and sailed his own boat), he was an avid off-shore racing sailor and navigator, and a part of the successful Bermuda Race winning team on Burgoo. He had vast coast-wide and off-shore sailing experience. He also, over the many years, was a contributor and reporter for Power Squadron News and, of course, was the Yachting Editor for Narragansett Bay and was always ready, willing and able to help sail something anywhere any time. The 1951 race was sailed 4th of July weekend from Ida Lewis to Cuttyhunk with a fleet of 23 entries; 16 cruising boats and 7 racing boats. In the group finishing, there were 7 racing boats and 10 cruising boats, with 6 also-rans. From this point on, the 4th of July weekend race became an annual event. In our search for heroes, the Club established in 1953 a Blue Water Plaque, to be presented annually to the bay skipper demonstrating the most meritorious seamanship and ocean sailing during the preceding year. It was our thought that even outside the benign summer sailing season there would be long distance boats that went beyond routine delivery of boats and that had some unique quality, either in the size or type, that would demonstrate the help a good master can give his vessel and the general ability of a reasonably well found boat to survive. This award was first made to Bob Merriam for sailing to Bermuda in the spring of 1953 in his Gaspee Peninsula schooner Victoria, a native fishing boat with small cuddy forward. Over the years, the list of trophy winners in the Twenty Hundred Club has grown long and varied with the tremendous expansion of sailing in the Bay and, in particular, the advent of fiberglass cruising sailboats. Because of their greater numbers, it seems only proper that cruising boats should, at this time, dominate the Club; however, there is still a large group of racing orphans (as far as ocean racing is concerned) and I would hope that the Twenty Hundred Club would have a place for them to compete for the trophies that were established originally for their competition; and that the idea of introducing buoy-to-buoy skippers to try some out-of-the-bay sailing and accepting wind and weather conditions as they may prevail, will not be overlooked. After all, if you beat your brains out weekly in the usual southwesterly chop prevailing in Bay racing, it could be a revelation to get clear of Newport and find a little ocean a little lonelier perhaps, but no harder to handle. 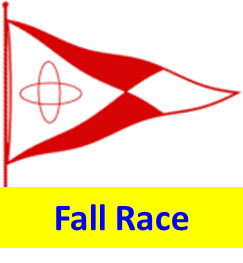 In 1956 the Club sponsored a fall race, sailed out of the East Greenwich Yacht Club, which has grown into one of the best-attended event the Club has. The fall steak fry after the race as become a social highlight an marks the end of the active sailing season on the Bay. 1973 saw the addition of the third event to our race schedule, a three-day race cruise to Block Island during the V-J Day weekend. The original race, with stops in Newport, Block Island, Dutch Island, and Potter’s Cove, while taxing our sailing ability soon gave way to a more relaxed format of two cruising sail races with a lay day in Block Island. This change proved immensely popular, and in the years that followed, a whole schedule of social activities from tug-o-wars to rowing races for the kids soon developed. The emphasis of the race cruise weekend continues to be on casual sailing, relaxation and good companionship. In 1977 we adopted the Performance Handicap Rating System. This was in line with the Club’s desire to encourage participation of as many boats in the racing schedule as possible Again it was a move that kept the Twenty Hundred Club in the limelight o Narragansett Bay leadership, as many of its members spent countless hours implementing the PHRF rating system into bay-wide events. By the 1980s our Ty Cobb Cuttyhunk Race had really blossomed. 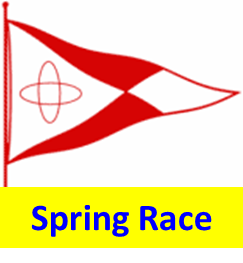 The number of entries was the highest in the Club’s history and the committee’s starting an hors d’oeuvres contest on the town dock provided a fitting end to a hard day’ racing. With the expansion to a four-race format in 1982, the board made a radical departure from the traditional forms of sailing and founded the Prince Henry Race sailed almost entirely in the Bay. This race is a great challenge to the navigator a he has complete freedom to go almost anywhere he wants, and in effect design his own race course. Use of auxiliary power is permitted for a limited time and the object of the race is to sail the greatest number of miles as possible within an eight-hour period. The boat with the greatest number of miles (corrected for his rating) is the winner. As you can image shore-side conversations after this race have produced some very funny stories. At the business meeting in the fall of 1987 the Board announced the election of two members, Stephen Harris and Avery Seaman, to the Honorary ranks for their outstanding contribution to the Club. Steve was Commodore for the 1971-1972 season and has continued to support the club ever since through his Race Committee efforts. His power boats Ecum Secum and Lone Goose have long been familiar sights at the business end of our race courses. Avery was the Club’s Commodore during the 1975-1976 season and was credited with bringing the Club into the computer age. Computer-generated scratch sheets in conjunction with a decimal-hour clock took a lot of the drudgery out of the Race Committee’s work. The changes proved to be so popular that they were adopted by the NBYA. 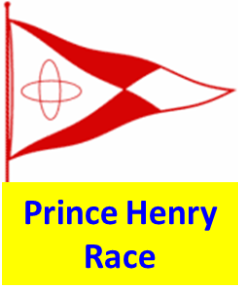 The 1990’s brought an effort to introduce club activities to a greater cross section of sailors with the invitation to non-members to sail in all events but the Prince Henry Race. 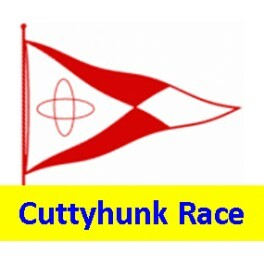 As a result, racing fleets have been large, as has been the turnout for the traditional on-the-dock post race party at Cuttyhunk and the beach party at Block Island. The notable exception was the 1993 Cuttyhunk race when a combination of heavy air, fog and high seas forced most of the fleet to turn back. 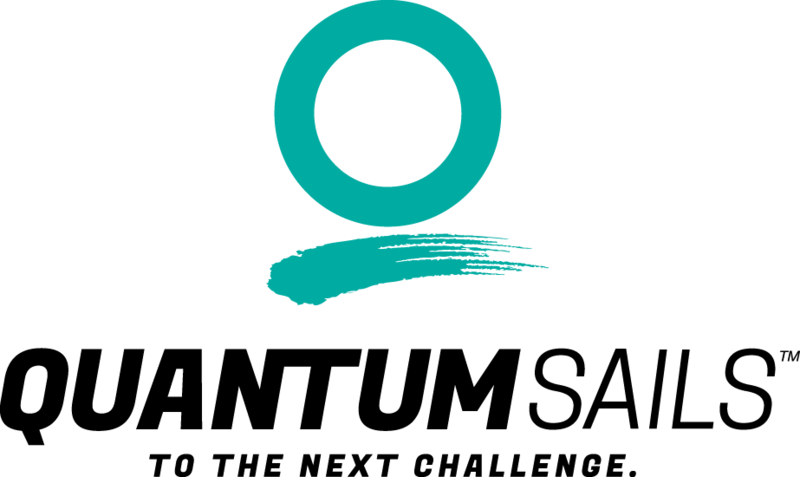 The race, however, will live in the memories of some – especially James Brindamour, skipper of Silent Partner, who lost a crew member overboard. Jim made the recovery and carried on to the island. Phil Hecht also made it aboard Spunky, but not until he had sailed around the island in the thick fog. Charles E. Dickerson, a co-founder of the Twenty Hundred Club, would have loved to hear Phil’s story and how he discovered the island was to his port when he thought it was on his starboard. Charlie died June 16, 1991, at the age of 77. It is unfortunate that Charles missed the 50th Anniversary race to Padanarum in 1996. It was a great sight to see: many of the “old-timers” attend the anniversary party after that race and trade stories and reminisce with the “young pups. As the Club enters its second fifty years, it is important to remember the great yachtsman who started the Club and those who have over the years made it what it is today. On to the next millennium!